I recently completed another fitness course as a Women’s Fitness Specialist (WFS), so I wanted to briefly explain the specific health challenges women have throughout their lifespan and the benefits of a specialized fitness program to maximize results for female clients in each of the age groups. This includes athletes and non-athletes, teens, pre- and postnatal women, pre, mid, and postmenopausal women, and women with specific health conditions that may compromise their overall health, well-being, or ability to regularly exercise. Women today face many demands on their time, which includes balancing a career, family, social obligations, and maintaining overall health and wellness. Life phases also affect women as each phase comes with a different set of challenges and adaptations. On top of this is the numerous health issues associated with obesity, which the numbers continue to increase yearly. Other issues associated with inadequate exercise during these life phases include negative changes in body composition and a loss of basic functions due to lack of overall strength, core strength, cardiorespiratory endurance, and flexibility. Losing function negatively affects the ability of women to complete daily tasks, putting them at a higher risk for injury. By understanding women’s anatomical structures and physiological functions during the different life phases, It will allow me to create specialized fitness programs especially for them as a women’s fitness specialist. 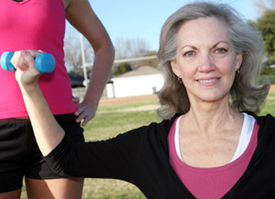 How Can You Benefit From A Women’s Fitness Specialist? For the teen female client, along with an appropriate designed fitness program for their age, adolescence is a time to introduce proper training techniques, improve overall health and nutrition, improve balance, and possibly train for a specific sport of interest. Optimal health and fitness is important for women surrounding a pregnancy, and working closely with the client’s obstetrician is very important. Women without contraindications to exercise should engage in aerobic and strength training throughout their pregnancy and into the postpartum period with a fitness program that changes as their body changes. 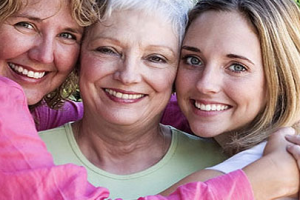 For women that are pre, mid, post menopausal and beyond, there are special considerations during this time when it comes to body composition, strength, bone density, and balance. Remaining highly active, along with maintaining a healthy diet and cardio-respiratory health throughout adulthood is one of the key components to longevity and quality of life. The most important thing for me when working with a client is their “Why”. Why do you want to make a change, lose weight, improve your health, or whatever it may be. I’m here to listen, to help make the best fitness program for you and your health, and to help you reach your goals as a women’s fitness specialist. So what are you waiting for? It’s Time For Change! Click on Time For Change Personal Training Services to see what services I offer and get started today! I look forward to helping you with your fitness goals. These statements and/or content have not been evaluated by the Food and Drug Administration. These products are not intended to diagnose, treat, cure, or prevent any disease. It is not intended to diagnose, prescribe, or treat any specific illness. The third-party product names, logos, brands, and trademarks shown on this website are the property of the respective owners. The corporate company is not affiliated with this website. I’m an Independent Distributor. The third party does not sponsor or endorse this website, its content, or services. Time For Change Personal Training shared a post. For all the benefits this stretch brings.. why wouldn’t we do it ? “Here - hold my phone while I stretch my piriformis.” Is what we all should be saying to the person next to us right now! Be proud of yourself for the little and big successes! Time For Change Personal Training shared a photo. Be proud of each step you take everyday. Great story of this photo below...You can have reasons or you can have results, but you can't have both. Keep running your race! This is Jim Thorpe. Look closely at the photo, you can see that he's wearing different socks and shoes. This wasn't a fashion statement. It was the 1912 Olympics, and Jim, an American Indian from Oklahoma represented the U.S. in track and field. On the morning of his competitions, his shoes were stolen. Luckily, Jim ended up finding two shoes in a garbage can. That's the pair that he's wearing in the photo. But one of the shoes was too big, so he had to wear an extra sock. Wearing these shoes, Jim won two gold medals that day. This is a perfect reminder that you don't have to resign to the excuses that have held you back. So what if life hasn't been fair? What are you going to do about it today? Whatever you woke up with this morning; stolen shoes, ill health, failed relationships, failed business, don't let it stop you from running your race. You can experience more in life if you'll get over the excuses and get on with living. You can have reasons or you can have results...but you can't have both. Time For Change Personal Training shared a link. Loosen up sticky muscles with these pain-relieving moves.